If you’re buying your first home in New South Wales, there’s a good chance you could qualify for grants and duty exemptions such as the First Home Owner Grant and First Home – New Home scheme. Housing prices have risen steadily across Australia over the past decade, making the cost of buying a new home greater than ever. Luckily, the NSW government has implemented a variety of grants and schemes to reduce the cost of home ownership and make buying your first home more affordable. If you live in New South Wales and you’re currently in the market for your first home, there’s a good chance you can qualify for the First Home Owner Grant (New Homes) scheme, which entitles you to a grant of $10,000 towards the purchase or development of a new home. You might also be eligible for the First Home – New Home scheme, which offers an exemption from transfer duty on new homes valued up to $550,000 and concessions on transfer duty for new homes with a value between $550,000 and $650,000. The First Home Owner Grant has changed significantly since it was first launched in 2000, and a great deal of the information available online refers to older versions of the scheme which are no longer up to date or available for home buyers. Below, we’ve put together a detailed, user-friendly guide to the First Home Owner Grant to help you understand how the grant works, who is eligible, and what you need to do in order to qualify for the First Home Owner Grant in 2017. What is the NSW First Home Owner Grant? The First Home Owner Grant is a government subsidy aimed at people buying their first home in New South Wales. The grant is part of an effort to make residential housing more affordable for first-time home buyers. If you’re preparing to buy your first home, you could qualify for a grant of $10,000 to make the purchase more affordable. But there are specific conditions and eligibility criteria you must meet first. You’ll also need to move into the home within 12 months of receiving the grant. At least one of the purchasers needs to live in the home for a continuous period of six months or more. If you move out of the home before six months, you’ll need to repay the grant amount in full. What type of homes are eligible for the grant? Before October 2012, the First Home Owner Grant was available for the purchase of any home, from brand new property to existing homes. In 1 October 2012, the old grant was replaced by the First Home Owner Grant (New Homes) to encourage the purchase of new property. The grant is available for new houses and apartments. To be eligible for the grant, the home you plan to buy or build must have a total value of $750,000 or less. Homes and contracts with a value of more than $750,000 are not eligible for the First Home Buyer Grant. What does “substantially renovated” mean? In addition to brand new homes, the grant is available for homes that have been “substantially renovated”. In this case, “substantially renovated” doesn’t mean a new coat of paint or a slight change to a home’s interior. To qualify as substantially renovated, a home needs to be defined as a “new residential premises”, as defined by section 40-75(1)(b) of the A New Tax System (Goods and Services Tax) Act 1999. In short, the building needs to be almost entirely replaced to qualify as substantially renovated and eligible for the grant. The NSW Office of State Revenue has more information on the requirements for a “substantially renovated” home here. Homes built to replace demolished premises are considered new homes under the scheme and are fully eligible for the grant, as long as they haven’t been previously sold or occupied. How is the “total value” of the home defined? In simple terms, this means that the total value of the home will be either the amount paid for the home or the total value of the property (ignoring any debt liabilities), whichever is the greater amount. For homes built under contract by a third-party builder (known as a comprehensive home building contract), the total value of the home is calculated by adding together the cost of building the home and the value of the land on which the home was built at the commencement of the transaction. Finally, for self-built homes (owner-builder homes), the total value of the home is calculated by adding together the value of the home and the value of the land on which the home is built once the transaction is complete. The Office of State Revenue provides more information on how the value of First Home Owner Grant properties on its website. Is the First Home Owner Grant available for existing homes? No. Since October 2012, the First Home Owner Grant is only available for people that buy new homes. 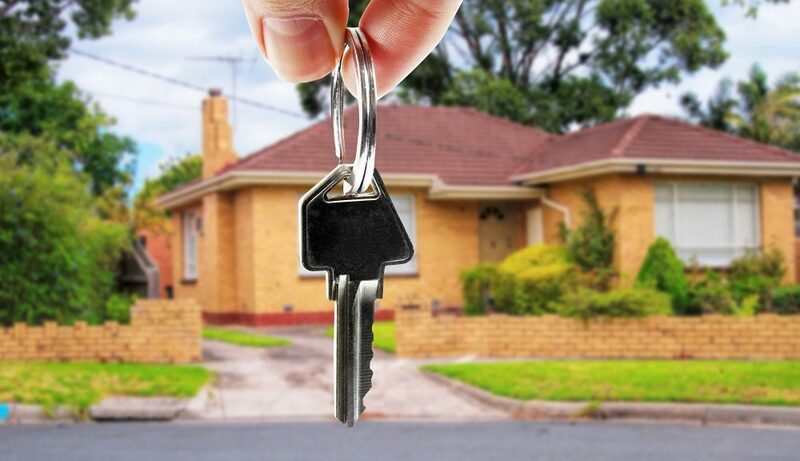 If you’re buying an existing home, you can use the NSW Office of State Revenue Home Buyer Grant Comparison Guide to see if you qualify for any grants or duty exemptions. Is the First Home Owner Grant available for people who’ve previously owned a property? Perhaps. The First Home Owner Grant is only available for first-time home buyers, meaning you can’t apply if you’ve previously bought a residential property which you or your spouse / de facto have lived in continuously for 6 months or more. However if you or your spouse have owned an investment property, or a commercial property that you have not resided in, you might still be eligible for the grant. Also keep in mind that if you have previously owned and lived in a home, and are buying a new home, you might be eligible for other grants. NSW offers the New Home Grant for buyers of new property, and the First Home – New Home duty exemption scheme for buyers of new homes valued up to $650,000. What if you’ve already bought a new home? If you’ve already bought a new home, or you’ve entered an agreement for sale or transfer between 1 January 2012 and now, there’s a good chance you’re still eligible to receive a grant under the First Home Owner Grant scheme. Between 1 January 2012 and 1 July 2012, the First Home Owner Grant was available for new residential property purchases of $600,000 or less by first-time buyers. Transfers and agreements entered into before this date may be eligible for concessions under the older First Home Plus scheme. If you entered an agreement for sale or transfer between 1 October 2012 and 31 December 2015, you might be eligible for a First Home Owner Grant of $15,000, depending on the value of the property. Homes bought between 1 October 2012 and 30 June 2014 are subject to a cap of $650,000 in value in order to qualify for the grant. For contracts dated on or after 1 July 2014, the value cap to receive the grant is $750,000. What is the First Home – New Home scheme? The First Home – New Home scheme provides first-time home buyers with a complete or partial exemption from transfer duty, also known as stamp duty. Under the scheme, you’ll receive either a complete exemption or a concession on the transfer duty you would normally need to pay when buying a new home. The First Home – New Home scheme is also available for first-time home buyers that purchase vacant residential land. Any eligible purchase of vacant land worth less than $350,000 intended for a residential building is exempt from duty and those between $350,000 – $450,000 receive concessions. There are two ways to apply for the First Home Owner Grant. You can apply through your bank or financial institution (as long as it’s on the approved agents list) or apply directly by submitting a First Home Owner Grant application form to the New South Wales Office of State Revenue. If you would like more details on the First Home Owner Grant or other various grants offered in NSW or other Australian states and territories, feel free to contact the IWM office on 1300 205 292 or hello@iwm.net.au and we will arrange a complimentary consultation with one of our expert financial advisers to help in answering your questions.